Once again, the historically rebellious neighborhood of Monimbo in Masaya, Nicaragua has become the symbol of yet another revolution. Since April, the people of Masaya have fought with rocks, mortars, slingshots, and molotovs against the repressive forces of the murderous, unconstitutional president Daniel Ortega. While Nicaragua has had it tough, Masaya – and in particular, Monimbo – has had it tougher, becoming the focal point of the mid-July crackdown last month. 🎥 | #Nicaragua 🇳🇮 forces continue to patrol protest city of Masaya. But what made Ortega anxious enough to send a majority of his forces here? What is it about Monimbo that makes him so nervous? 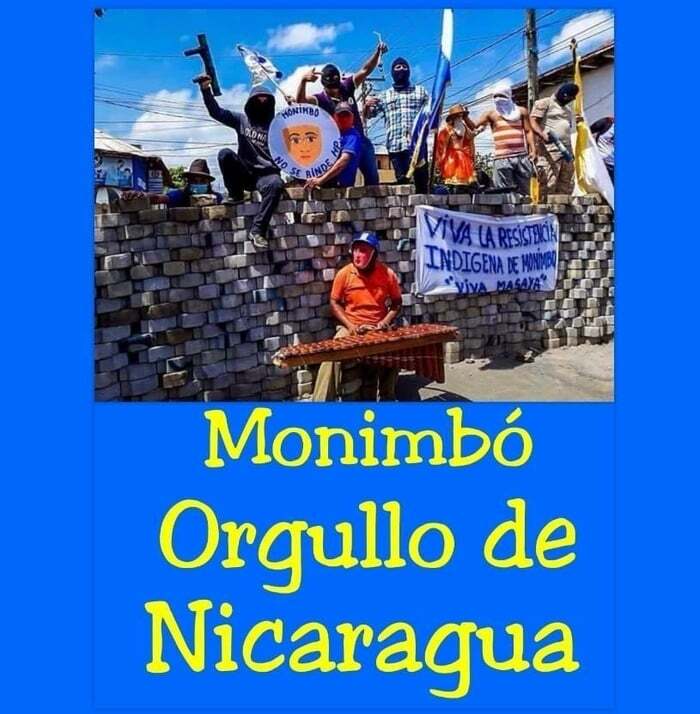 Losing Monimbo means losing Nicaragua, and Ortega knows it all too well. His own Sandinista revolution had a heavy association with this town, and its fierce rebellious heart goes even further back. From the 16th to the 18th century, Monimbo passively protested the brutal occupation of the Spanish Conquistadors. The people of the town halted childbirth and rejected forced labor, sowing the seeds for the revolution against the Spanish colonials. 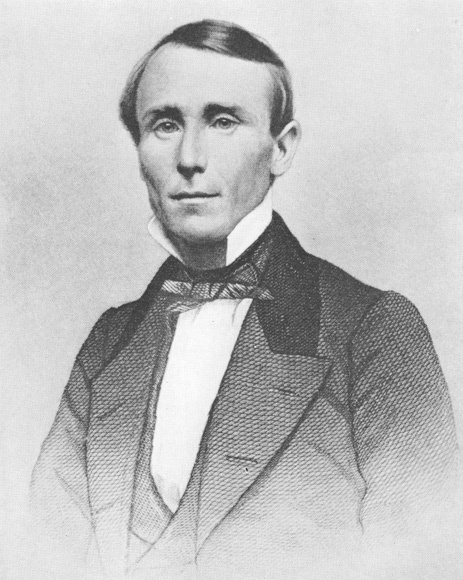 In 1856, Monimbo was an active stronghold against William Walker, the filibuster who wanted to make Nicaragua an American territory. In 1979, Monimbo was the emblematic center of insurrection against Somoza. 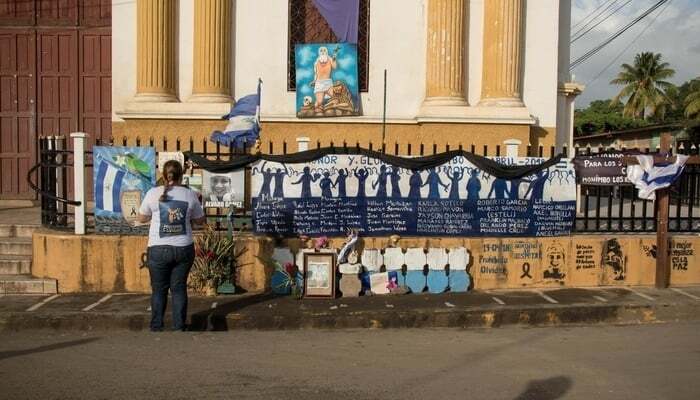 The citizens built up barricades (tranques) to prevent the national guard from entering, exactly as they did in 2018 to protect themselves from Ortega’s murderous paramilitarios. Back the first time around, Somoza bombarded the town and sent the hated National Guard banging on doors looking for rioters to kill. Many opposition members died. Ironically, Camilo Ortega, Daniel’s brother, was one of those killed by the National Guard in Somoza’s Masaya purge. When the Sandinistas triumphed over Somoza in July 1979, Monimbo celebrated. It became the destination of the annual July 19th marches to commemorate the historic victory, ever known as National Liberation Day. This year, there was no dramatic entrance into symbolic Masaya. Daniel and Rosario still got into their armored Jeep but only got as far as the Plaza La Fe in Managua. Government employees, nostalgic militants, fanatics, and Cuban and Venezuelan diplomats were all in attendance at the Plaza La Fe. Sources on social media claim this July 19th felt more like a farewell party. A couple dozen kilometers away, Monimbo was barren. That night, the people of Masaya were at home, scared of the police killing them. But they never lost their grit, and the government knows it. Masaya will protest again and the rest of Nicaragua will follow. It will be enough to give Daniel and Rosario a double panic attack. In particular, he’s probably scared that Masaya will liberate itself from Sandinista rule and form a temporary self-governing body, like the Junta de Gobierno de Reconstrucción Nacional in 1979. Led by Francisca Ramirez, peasant coalition leader and hija dilecta de Masaya, the town is more than capable of doing it. This would mean a transitory form of government that could threaten the Ortega-Murillo regime, and might even get support from foreign nations. En cada tranque y barricada hemos enjuiciado y condenado públicamente ante el mundo y la historia, al régimen criminal, asesino y terrorista de los Ortega-Murillo. While this may sound uncertain, it happened before and could happen again. Daniel and Rosario can curse the Yankee Empire all they want. They can talk about peace, love, and reconciliation in front of paid attendees all they want. Whatever they say, the hundreds of people murdered under their command will still be dead. At any rate, the FSLN will fall, and the leaders in Monimbo will be the ones to break the glass ceiling. Alejandro Castillo is from Managua, Nicaragua. He can be found talking about issues in his country on Twitter and his blog.